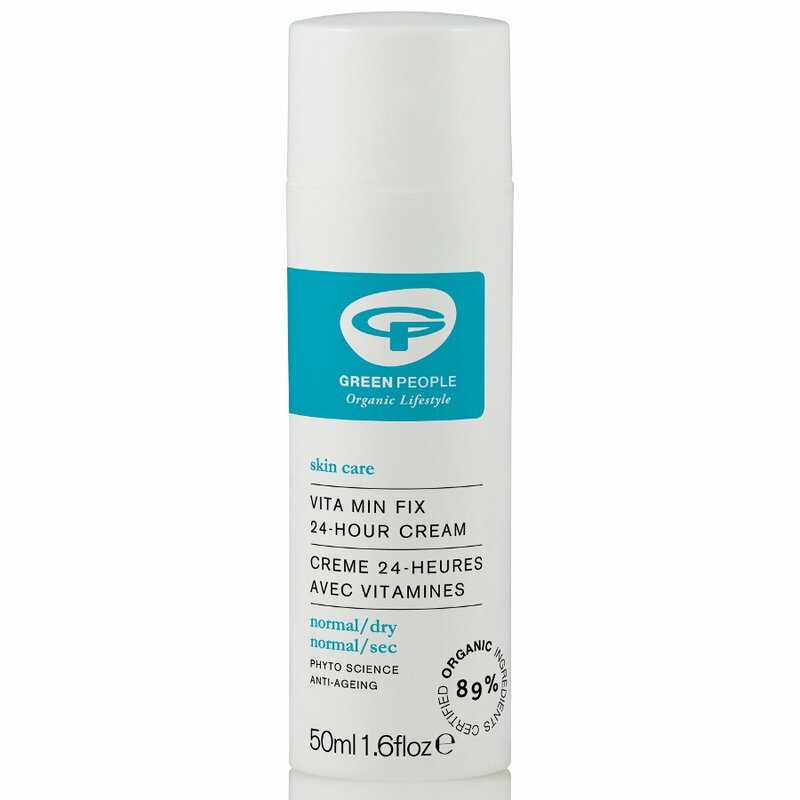 Organic Green People 24 hour moisturising cream for normal, dry and tired skin. Featuring a mix of natural vitamins, minerals and antioxidants this anti-aging cream gives skin a 24 hour moisture boost to soothe and revitalise. This non-greasy formula contains organic evening Primrose, Avocado, Squalane from Olive, Green Tea, Baicalin & Seaweed. Clinically proven cell rejuvenating abilities to reduce wrinkles. Free from Parabens, Lanolin, alcohol (ethyl alcohol, ethanol), artificial perfumes, petrochemicals, phthalates and colourants.100% certified product, 89% certified organic ingredients, contains fairly traded ingredients. The Green People Vita Min Fix Moisturiser 50ml product ethics are indicated below. To learn more about these product ethics and to see related products, follow the links below. good quality, still getting to know this product. I used to (and still do) use Dermalogica products, which suit my sensitive skin, but I wasn't that happy with their moisturiser. Having tried a couple of samples of Green People products and been impressed, I tried this. I really like it, it seems to last longer than my old one (and is about half the price) and I don't have to reapply it as often. My skin feels soft and creamy when it's been applied, but not greasy. So I'm very pleased and am about to buy some more and to try more Green People products. 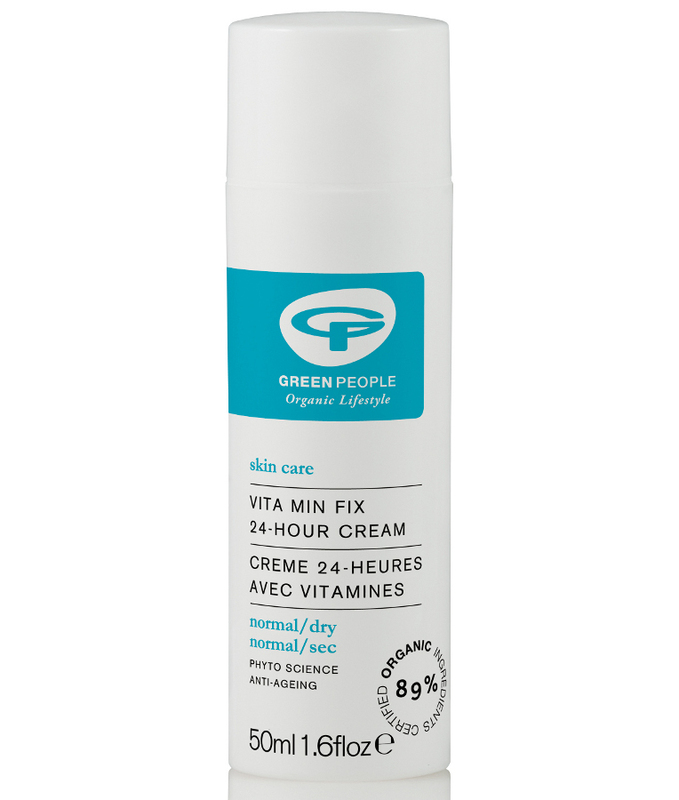 There are currently no questions to display about Green People Vita Min Fix Moisturiser 50ml.